I was on assignment for AJ+ covering clashes that had broken out in Hebron. 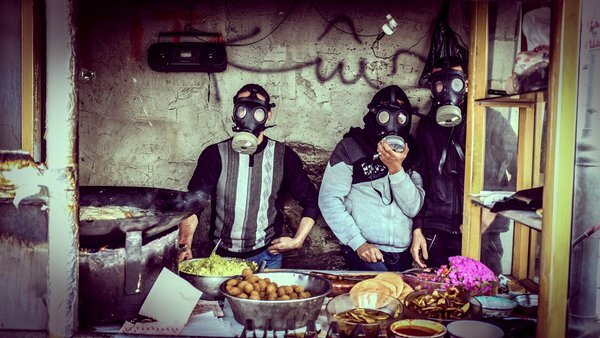 This photo I took of three men awaiting customers amid tear gas is now a finalist in the Smithsonian magazine contest. CLICK HERE to vote for it.